“Oh crap! I can’t watch this! I am just going to be rude, leave my dinner and walk out of here while you finish injecting yourself with something that saves you from dying everyday.” or something a little politer than that. Something in the way I manage my diabetes changes today – in a good way. Now, I don’t have to deal with any of the situations listed above and I don’t even have to care about injections anymore! Instead, I am going to care about something way more sophisticated than that. My first Omnipod - Attached to my belly. It contains an insulin tank and a stepper motor that pumps a constant (or variable) rate of insulin (called basal insulin) to me throughout the day. And when I want to eat something, I whip out this other device called PDM from my pocket and press a few buttons. The PDM (Personal Diabetes Manager) talks to the pump over radio frequency and asks it to deliver the extra insulin (called bolus) for the food that I am about to eat. And that’s it! I put the PDM back in my pocket and start eating – no poking, no needles, no showing off your six pack (ha!) to the world. Count carbohydrates in whatever I am about to eat before eating it and tell my PDM to deliver insulin accordingly. Stuff my face with whatever I can find in case my blood sugar goes low. 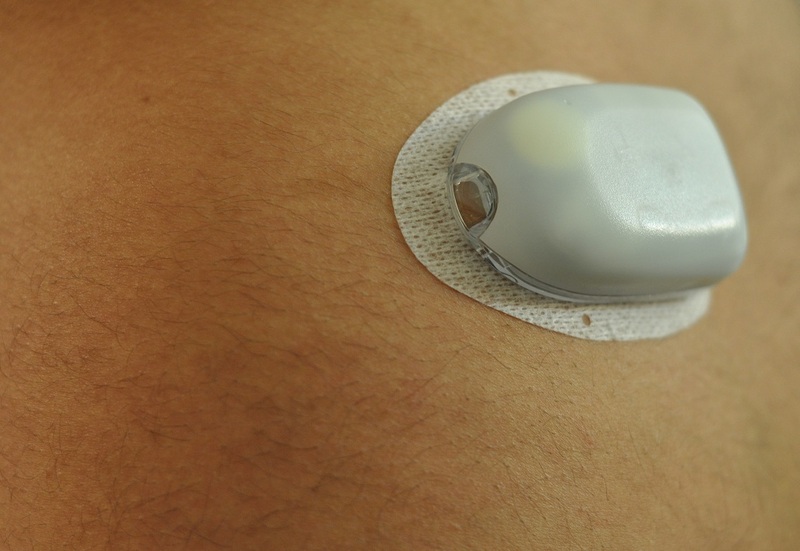 And ofcourse, the pump is attached to me by a really strong adhesive and lasts about 3 days. So, I need to take it off every 3 days and install a new one. Now, there are a couple of problems with doing just that. First – a tiny tube (called a canulla) doesn’t just get under your skin without a needle poke. So, here come more needles. Although, the insertion process is automatic and not nearly as painful as my biggest scare about this whole setup – the pod removal. You see, being an Indian, I have been “blessed” with a very hairy belly and arm (see Russel Peters explain that to you here). I am just horrified by the thought of waxing myself twice a week! But, I’ll get to that when I get to the first pod removal day (just 2 more days to go :o). Apart from getting rid of the injections, there is one more thing that my Omnipod does for me – it keeps all of the information in one place. In my old setup, I had my blood sugars in my glucometer, the amount of insulin I took in my head, and the amount of carbs I ate also in there somewhere in my head. Diabetes is different for everyone – everyone behaves differntly to different kinds of food, activities, exercises, seasons, stress, sickness, insulin. In order to manage diabetes better, you need to understand your own diabetes. In order to understand your diabetes, you need to be able to look at all the data and the graphs. This allows you to figure out what affects your blood sugar and how, so that you can make better decisions in future. This is all just a very complicated feedback loop with a lot of inputs. The problem with my old setup was that all the information was in different places and I am obviously not diligent enough to collect all of it and put it in an excel spreadsheet to visualize it. My Omnipod PDM, on the other hand, has a glucometer inside it. It also tells me how much insulin I should take if I tell it how many carbs I am eating. 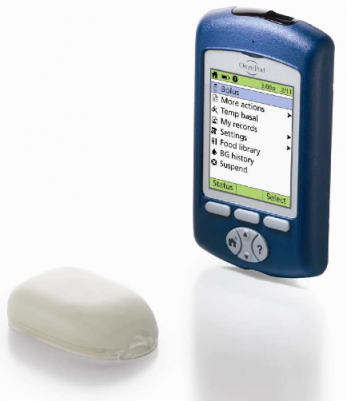 So, there you go – blood glucose, insulin, and carbs: all the data inside my PDM! Now, I can surely understand my diabetes better than ever before. Inspite of all this awesomeness, there are some shortcomings that I have noticed. But today is not the day for the shortcomings. I am too pumped up to point out any issues with it right now. I’ll post about them once I have had enough experience wearing this beautiful thing! Until then, expect some more posts about the pure awesomeness of this device!